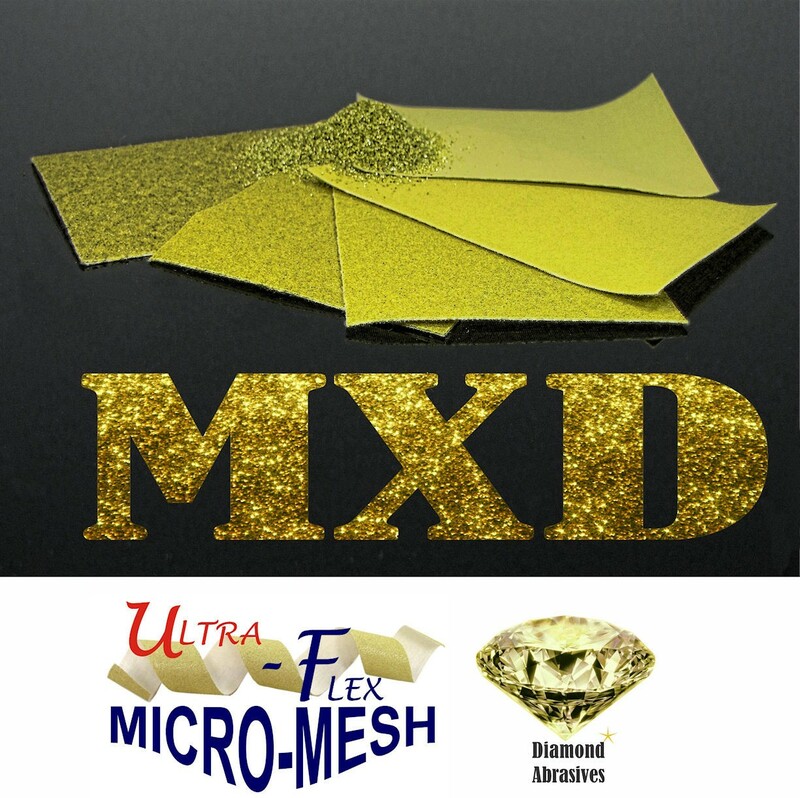 Cloth backed, ultra flexible diamond sheets for finishing critical surfaces. High performance, long lasting diamond abrasive that provide lower RAs while removing 30-70% less surface stock than conventional abrasives. Use on hard metal alloys, ceramic and stone. 40 MXD - 20 Ra 80 MXD - 12 Ra 100 MXD - 10 Ra 120 MXD - 8 Ra 180 MXD - 6 Ra 280 MXD - 4 Ra 500 MXD - 3 Ra 600 MXD - 2 Ra 1200 MXD - 1.5 Ra 1500 MXD - 1.2 Ra Additional grades may be available - if interested please contact our sales office by phoning 800.225.3006 from Monday thru Friday - 8 a.m. - 4 p.m. Central time.